Amazon.com: Kraft Macaroni and Cheese Dinner, Pack of 8 just $8.27 shipped! 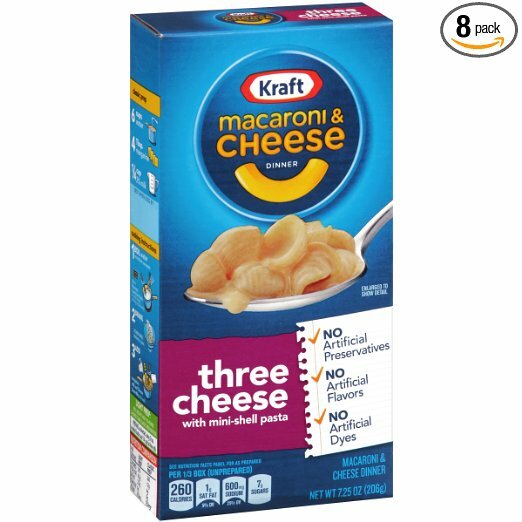 Amazon has Kraft Macaroni and Cheese Dinner, Three Cheese (Pack of 8) for just $8.27 shipped when you clip the 15% off e-coupon and checkout through Subscribe & Save! That’s just $1.03 per box shipped. « Amazon.com: Pie Face Showdown Game just $11.83!